Earlier this year, Waka Flocka Flame released volume 1 of his I Can't Rap mixtape series. He's getting ready for part 2, and has just shared a new track called "Get Money." Despite its truly terrifying cover art, the single is a surprisingly smooth track built on warm, back-masked synths and an uptempo drum beat. 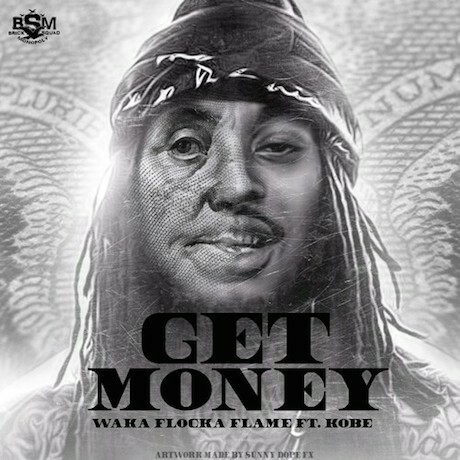 Waka sounds confident on the mic, and is joined by the suave singing of Kobe. Listen to "Get Money" below. I Can't Rap Vol. 2 will arrive shortly.